Posted on September 21, 2012, in Game Strategy, Gameplay, Micro and tagged 40k, 6th, 6th Ed., 6th edition, gameplay, micro, Strategy, tactics, Warhammer. Bookmark the permalink. 10 Comments. Yay, glad to see the strategy articles back, this and the battle videos are why I love this blog. Although I admit I don’t quite understand what’s going on in this article, probably because I don’t really understand the way multi-assaults and morale checks work yet (I use a shooty army). Is the same unit charging two seperate units at the same time? Also steal away from my last post. I don’t really care about credit, I mainly just did it as an exercise to help myself internalize the concepts, and I’m happy to support a blog that encourages intelligent, purposeful play. The 40k community really needs blogs like this one. Also, can’t wait for the rest of the BRB missions discussions. I feel like the mission is probably the most important part of the battle the player cannot control ahead of time, and yet it’s the least talked about, as in nobody anywhere is talking about the mission strategies. 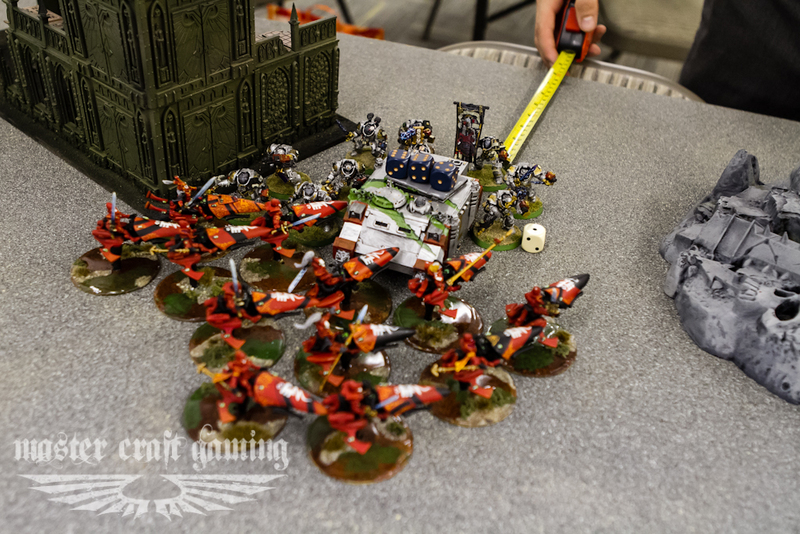 Now, granted, 6 wounds is far more than the zero it was under 5th edition, but you can’t count on pouring all but one attack into a vehicle for an epic combat win. Well idk if that works for vehicles (as Paul mentioned). Hey SoA. Just a quick comment on your pronunciation of the divination primaris power. It’s actually pre science as before the age of science hence why the lore is called divination (gods, Devine beings) so that power was around before science. (Pre). Hey Steve. I apologize that its been awhile. I haven’t had the time or motivation to keep up with the site. However for, pride sake, check this out: http://www.merriam-webster.com/dictionary/prescience. May want to check your origins ;). It’s probably that it comes from the Latin praescire, meaning to know beforehand, rather than meaning before science. Hi, maybe I’m understanding the rules wrong as I am quite new to the game. I thought in an assault, even if the unpleasant squad that you assault is only in base contact with one model, the maximum wounds still spread through your squad? So taking the example given with the nobs and the boys, you charge the boys with your 10 jetbikes, but your are multi-assaulting so you lose your charge bonus. But we are running 10 warlocks so we still have 20 attacks to throw out. 9 bikes are in contact with the boys, 1 with the nobs (i think thats how you described it right?). You have the initiative on the orks and on average maybe 10 wounding hits from that? Lets be generous and say they save 2 wounds on the 6+ save they have. 8 deaths on the boys. Maybe 1 wound on a nob from your other guy, totalling 9 wounds by you. The nobs will attack back 1st, consolidating 3″ around your guy in base contact. 5 nobs should do about 6 wounds, 4 up saves takes that down to 4 deaths. Then the left over boys will attack you, 7 of them left at least, thats another 5 wounds, generously you might save 2. 7 deaths to the warlocks. The nobs slightly more likely to break on a LD 5, but you wont be able to run them down if you are still in combat with the boys? Seems to be a lot of close calls and maybes here? Am I missing something important? 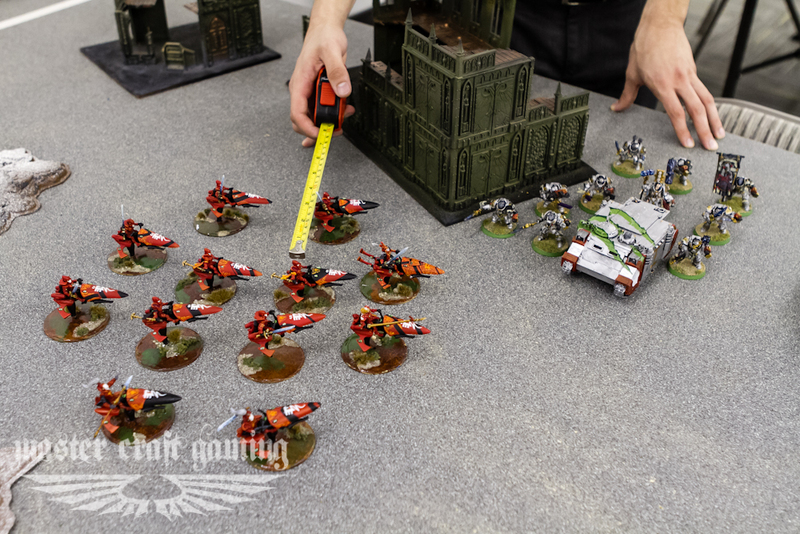 If you have 5 nobs on bikes, and 10 warlocks on jetbikes, you could stick back at 12″ range and shoot them with your twin-linked shuriken catapults, 20 shots, BS4 rerolling would give you 17 hits? ish? That would lead to 6 wounds, after saves 2 dead nobs. They would then take the same LD check and you have lost no models, you could also then charge them if you wanted to still and have a much better chance of wiping them out. Although I would be running away at that point. Thanks for your comment Kevin and welcome to 40k and to Eldar. You are right to wonder at this tactic. It can only be used successfully in very particular circumstances. Something else to note is that this tactic can be used by any squad that is both potent and resilient in combat, so long as the conditions present themselves. However, I will explain the particular difference in the above description. If the table were as you had described, then yes, this would had a poor chance of working, however placement is key in this sort of scenario. The boyz squad was spread out with the intent to avoid destructor templates, and the nob bikers were spread out at max range (2 inches in between bases) in order to threaten my advance anywhere near his lines. This was an ideal scenario, as it allowed me to be more resilient due to the lack of potential counter attack from a spread out unit. I was able to fortune my bikes and doom his boyz at the start of the turn. I then moved my squad into a position so that I could take advantage of this limited range tactic. I decided not to fire in order to maintain my opponent’s formation. When charging I was able to get 4/5 (I don’t recall exactly at this point) bikes in base with his boyz and 1 with the nobz, which net me 4/5 and 1 hammer of wrath hits and 2 or so dead boyz. After that I struck with 11 jetbikes on the boyz and 1 on the nobz (10 warlocks and 2 farseers), while losing the +1 bonus I was able to get 22 attacks (14.6 hits, 14 wounds) for 11 or so dead boyz with ws 5 and doom. The boyz after losing 13 were out of position to get many in place to attack as they were already spread out in an effort to avoid flamer templates. They may have gotten 2/3 boyz in to fight (4.5 hits, 1.5 wounds) which, with re-rolls wouldn’t have killed anyone. Similarly the nobz were only able to get 2 in range to hit as they were spread out to control the table. (3 hits, 2.5 wounds) With re-rolls on the invulnerable saves I might have lost one. So we can see in this instance, assuming 13 wounds caused to the boyz and none to the bikers while only taking 1 in return, both squads had been reduced to LD 2 and the Nobz broke and went 3d6 off the table edge. In the end, my ability to kill and not be killed was largely due to my opponents positioning rather than the power of my squad. I hope this helps. Thanks again for the post. I’d be happy to hear your thoughts on anything on this site. Hi, Thanks for the further information. So the fact that made this work for you was that the opposing units were too strung out to make the most of the 3″ consolidation on your squad. That makes a lot more sense now. Its not about seeing a squishy unit and abusing damage on that to scare off the other unit, its about both units being out of position and being able to take advantage of it.